SINCE 2006, questions have surrounded the future of one of Australia's most beautiful islands. Finally, answers are emerging in the form of CK and Isabella Wei, the couple behind Singapore-based Wei Chao Pty Ltd, which has signed a contract to buy 970.9ha of the island's lease holdings. 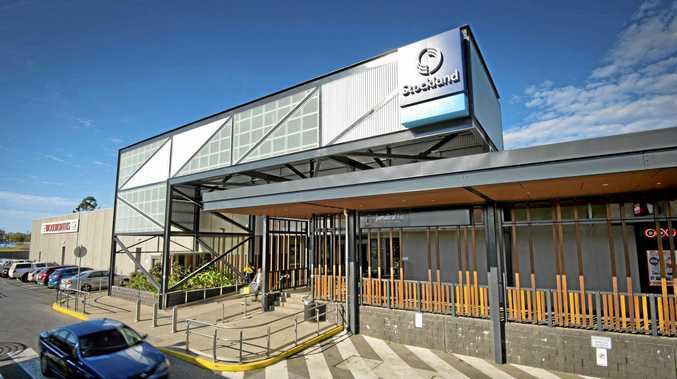 The sale is still to be approved by the state and federal governments but Mrs Wei yesterday told The Morning Bulletin she doesn't anticipate any problems. "Everyone is supportive and we don't plan to change anything," she said. "We will go with what has been approved so there's no delays in construction." It's still too early to predict a date for construction to start, but Mrs Wei insists it will be an Australian project. She said everyone involved in the project to date was Australian, the major contractor would be an Australian company and where possible sub contractors would be local. She has hopes construction can involve local job seekers to help them get into work, and plans to work with the existing businesses on the island to help them expand. 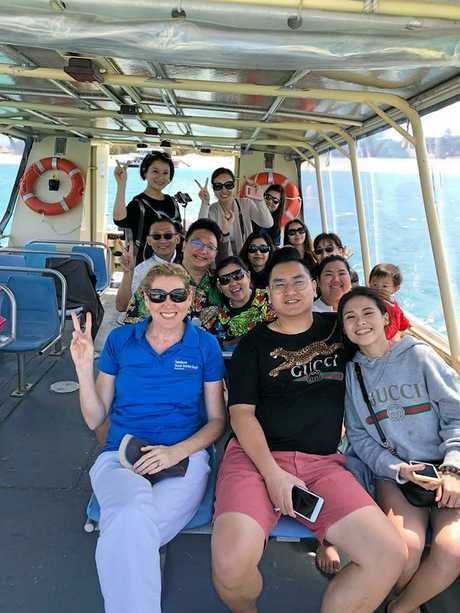 Capricorn Enterprise CEO, Mary Carroll with Isabella and CK Wei who have signed a contract for an undisclosed sum for Tower Holdings' leases on Great Keppel Island. "I believe it's a dream that everyone wants to see the island returned to its former glory and I can't wait to see that happen," Mrs Wei said. "We all have a passion for it this, so we want to see things get moving as soon as possible." Wei Chao P/L is a private family company with business interests in South-East Asia. For the past 10 years CK Wei has invested in residential and commercial property in China and south-east Asia and in start ups in Taiwan, his home country. "There's a lot of young potential in Taiwan," Mrs Wei said. "Young people who have an idea, who know what to do but who have no capital to start up with, so my husband invests in them." Great Keppel Island is the company's first venture outside Asia. Existing federal and state government leases need to be transferred from current owners, Tower Holdings to Wei Chao (pron Way Chow). Capricorn Enterprise CEO, Mary Carrol said the state government had an entire team working on the project. 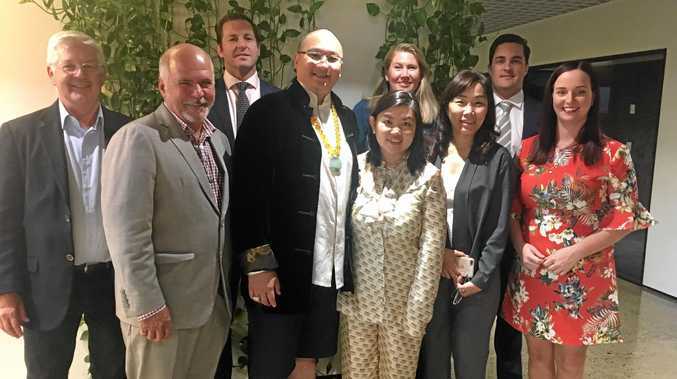 "It has synergies with the $25million they are investing to connect mainland power, water and communications cable to the island," she said. "Everyone wants this to happen as quickly as possible and the attention is at the highest level with state government ministers. "We would hope that the sale process is finalised by the end of this calendar year, with concurrent project management planning occurring so development can commence in the latter half of 2019." The first stage of the project will be the beachfront hotel, marina and the airstrip but Mrs Wei is most excited about returning to the island again in November. Isabella and CK Wei with their friends on GKI last month. "We believe a lot in fate, and when we went to island ... I tell you, it's amazing, we fell in love straight away," she said. "When we told our staff they thought we were crazy. From a developers point of view this is very long term. "But this is not just about making money. When you are there, you can see the warmth of the island, its story and history. "To meet the (traditional owners) is very exciting. "I hope I can meet with them in November, around a campfire on the island, to hear the story of the island from the elders, I think that would be so great. "Not many believe in magic and spiritual things, but I do and the feeling you get there is 'I was beautiful before and I want to be beautiful again'."